Outside of the two week run-up to the contest, one of the most beloved times of the year for Eurovision fans is national final season. Many listen to hundreds of songs (particularly if you were committed enough to get through all 60 in Romania’s Selectia Nationala this year), pick their favourites and grow bitterly disappointed when they don’t win. But after all is said and done national final season provides us with the majority of Eurovision entries each year. We had our first result way back in December 2017 following Albania’s Festivali i Kenges. Then — after patiently waiting for a few weeks — the floodgates opened and national finals were appearing all over the place, including the UK’s Eurovision: You Decide, Malta’s MESC, Belarus’ Eurofest, Ukraine’s Vidbir and way more than we have space to list here. So while we countdown our favourites of the songs that didn’t quite take their regional crowns, we want to know which of the Eurovision 2018 entries that did win their respective national final are your favourites. 29 countries chose their entry through a national selection this year. France, Montenegro, Serbia, and the Czech Republic all returned to this more democratic process of selection, while San Marino chose their entry through a national final for the very first time. All these songs are already winners, but only one can come out on top here. Click on the links below to take a listen to all the songs and then vote in our poll. You can choose as many songs as you want, but like always you can only vote once — so make it count! Make sure to comment down below with your thoughts, and if you haven’t already you can vote in our poll for the best internally selected Eurovision 2018 act here. ESC 2018 song chosen through a national final is the best? Definitely France, Germany, Italy, Armenia, Albania and Ukraine chose the best one among their finalists. My favourites are France, Germany and Italy. Love Ireland very much. 12 points from China. Esc is not about hate. Why care about reasons for the choise people make? I vote for s song. Spain and Greece won’t even be in the top 10. I love all the interviews between Benjamin Ingrosso and Lady Jenevia. She is like an order sister to him. You can really tell that he is young. From where is Lady Jenevia? You say she is like a big sister, I feel that artists are intimidated by her. Well not whith Benjamin. I don’t know where she’s from. She’s american of japanese descent. Germany’s song is so boring. HANS HAHAHAHAHA BE NICE WITH THE COUNTRY YOU VISIT IN SUMMER. Thank you. That was really funny to se. Love when he got the present. Well, hate end the values of ESC. Think about that. It is not nessesary to comment at all if you don’t like our song or us. Ja, men tror du hans sound funkar i öst? Vore kul. You don’t speak english because you want to write some secret, but if I click right on my mouse, I see the option Translate in english. No need to bother to write in a non-english language. You probably wrote about Swedish song, if will be liked in the east. I’m from the east and I like it. Happy? If east likes Sergey Lazarev, Doredos, Kirkorov, Alekseev, it means it will like Benjamin Ingrosso too. Rock is not much bigger than other genres, mostly east likes party music. Some ESC fans even blame east for its party music from 2000’s. Good luck for Benjamin Ingrosso! I do! And the same I can say about Australia and Norway this year. Those 3 are my bottom podium. Overthinking Eurovision is talking about Netta. Such a long way away. How did you get to know about Eurovision? A Latin American internet forum and plenty of searches on Wikipedia LOL. This is my first full Eurovision season and I’m really loving it. Greetings. No, I’m not. Is there another Peruvian here? There are exactly 29 countries that had national selection. What do you not understand about this article? So many good songs in this poll, i love the most Finland, France, Spain, Ukraine,Sweden,Belarus and Denmark ,can’t wait to watch live show in Lisbon and Saara will slay!! I think a more meaningful poll would result questioning what is your biggest crush, except your own country, por favor, because this is how the voting really works, in real life. yeah you’re right, i have to choose…. You are aloud 20 votes in ESC voting sistem so you can enhance your favorite so much, so the question is, who is your favourite? Somebody tell me when will the wiwi jury commence? When the reviews are finished. Obviously. Cause even in the darkness…….. I can see a light! Hungary,Armenia, Sweden,Ukraine and Germany, though i think all these songs are pretty decent, except Norway (sounds too childish ) and Iceland (dated and boring). Frace song is soooooooo BORING PLEASE. Thats not wrigth this is just an opinion Im not saying anything nasty. I just love bedides spain other songs. Regardding to Australia I have nothing against them is just that they came 4 a visit and the said they where organizing a paralell contest in asia. U TAKE IT SO PERSONAL MAN. That French song again? But whyyy? France,Ukraine, Italy are the best! I’m surprised to see how badly Italy has been doing in all those recent polls (and in the betting odds). The song was never among my favourites but I expected many people to like it. What the song says is beautiful but the melody is rock……..pop bit lost in between. Thaks Italy for thinking on spain atacks. Joel nadie piensa en la cataluña independiente hay problrmas mas importanted que esos. Cataluña siempre formara parte del reino de España os guste o no. Hasta que todos los españoles cambiemos la ley. BUT THIS IS EUROVISION PLEASE. Surprisingly, my favorite out of this rather big bunch is… Montenegro! I really like the song but that says a lot about the overall choices made in this year’s NF season. Also, Malta does not look that bad anymore to me. I now believe they can qualify. Also, i hope Iceland gets last place in this poll for murdering music. Closely followed by Ukraine for slaughtering the English language. Viszlat nyar is a cute runner-up! France had the best national final. Simple. Sweden is underrated! Ingrosso is the best. Men nu är ju inte den vanliga röstaren som fansen alla gånger. Benjamins låt är en av dom mest moderna och det som många lyssnar på utanför eurovision-bubblan vilket jag tror är en bra sak. Men vinner gör vi nog inte..
Tycker han är jätte bra. Har absolut inte stenkoll på musik men första gången jag lyssnade så fick jag accosiationer till Wham, Micael J, Justin Timberlake, Justin Bieber. Tycker han är grym och borde ha en framtid utanför Sverige. framförallt i US. Jag vet inte om öst kommer gilla det.. Men om inte låten gör det så lär väl möjligtvis showen göra det istället 🙂 Tror minst på top 10 i år. Albania, Estonia and France for sure! Honourable mention to Armenia! All four are in my top 10! I see Spanish and Melovin fans haven’t hijacked this poll so far! LOL! ? Maybe here but Not in the actual contest!! But yeah those fans can make him qualify!! Sure, those belarussians &other russians are swarming amongst us, spoliling our polls, or even the ESC results, God forbid! Well, if they are, not seeing it in this poll! Go see the other poll on this blog the one with Who should win ESC, 40 000 voted, russian speaking blokes are all on Vk not here. France has the best national final this year! Well,I have made up my mind for the magical song of the Portuguese singer…..
My vote was for Armenia mostly due to the raw power behind it. A big difference among all the songs this year, which seem to go back to electronica over and over again. The Tolmachevy Sisters are Alekseev’s Backing Vocalists. 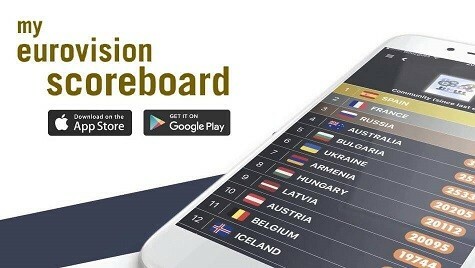 Spain only in 6th on this poll? How strange considering it always seems to lead in the other polls. Hmmm. Why Spain not lead yet? Simply because there are many better songs than the Spanish one! Taboo is soo underrated. Hope Christabelle will qualify. Have you seen the last version of “Forever”? It’s amazing! The song became a little better but still boring! Geia sou re alexandra me ta oreaa souuu !!! I hate the new version, the song is ruined, I’ m sad, really. I hope it’s not true. In the past Sweden has always come at or near the top of this poll. The tide appears to be changing this year. The UK will surprise y’all and will do a lot better than people expected it to do. Everybody is predicting last place but, I think that’s a little harsh. You can’t blame the UK for the BBC not being willing to listen to the fans. Helps that the song is not that strong, too! Doesn’t matter waht we think because it is still going to do well! Well, I think that Benjis music is more for the US market. The inspiration from oldschool soul is perhaps noting for escfans. I love it and I am coviced that Benji will have many hits outside Sweden even if he won’t make it in esc. Well Sweden’s song is not eurovision-fan friendly. Like Frans. So I don’t expect it to do well in polls. These polls are not 100% relevant, because everyone votes for own country. And even if they are relevant a bit, Sweden is low only because fans are mad, because Felix/Jessica/Margaret/whoever haven’t won. And last year Italy was high and even first, and even then televiewers barely recognized song. That says all about poll and fans! Portugal is the best by miles.The most sensitive and emotional song,and her voice is not from this world.I also like France,Finland,Germany and Hungary but in another level.Portugal will double it,i’m sure,as i was last year when everybbody said i was crazy. Voted for my top 5 of Course: Hungary,Czechia, Estonia, Italy and Denmark.